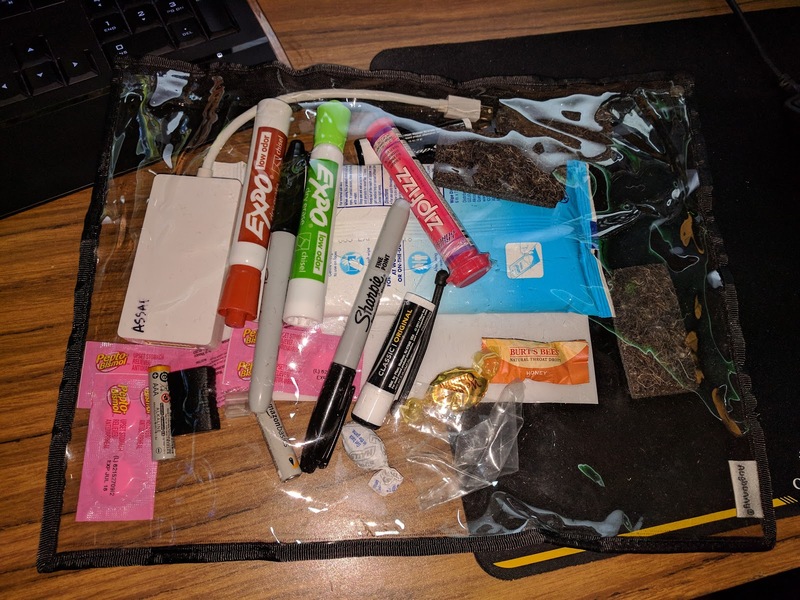 Last summer, I heard about an awesome idea for speaker gifts at SQLSat Pensacola 2017 from organizer Karla Landrum and Tamera Clark (SQLSat Nashville). It was our 9th year of SQLSat Baton Rouge, we've had polo fatigue and were looking for fresh ideas for useful, memorable speaker gifts. 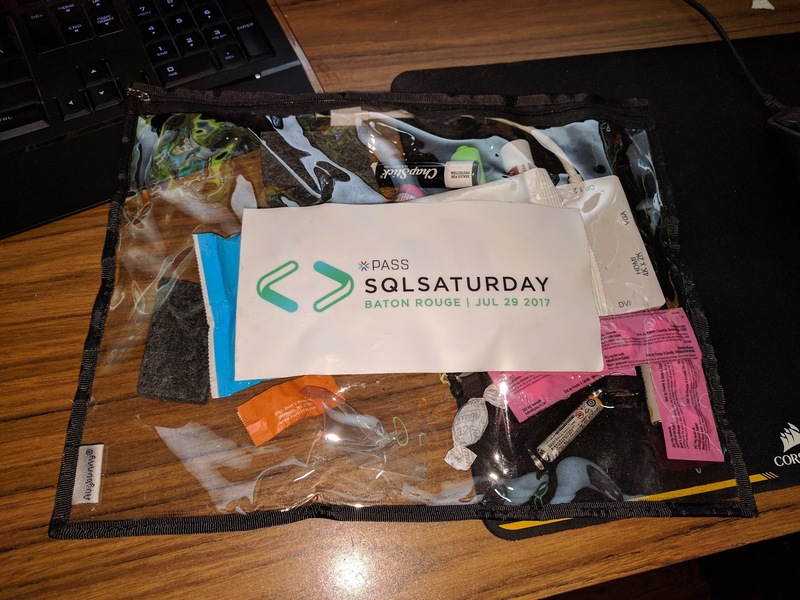 SQLSat Nashville's speaker goodie bags, full of day-of-conference supplies, was an inspiration. I personally heard that at least three speakers went to the bag during SQLSatBR, specifically for the Mini DisplayPort-to-everything video adapter common to laptops. It's an annual occurrence that someone with a newer laptop is dismayed to find they've left their adapter at home, and they don't have a way to hook up to the room's VGA or HDMI cable. I've heard other speakers mention it at user groups meetings since. And just today, my wife Christine (hrtact.com) mentioned that at work she pulls it out for the various useful items. 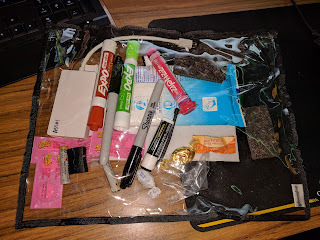 The idea is to give a useful pack of inexpensive things in a bag that sits nicely inside of a laptop bag. The goodies are small, bulk-purchased, inexpensive things that someone would need the day of a speaking event. Links to the items, almost entirely sourced from Amazon.com, are provided only as examples. The total cost per bag ended up being around $31, or a little more than the cost of an embroidered polo shirt. The biggest single expense (and most often used) item was the mini DisplayPort, roughly half the cost of the entire bag.